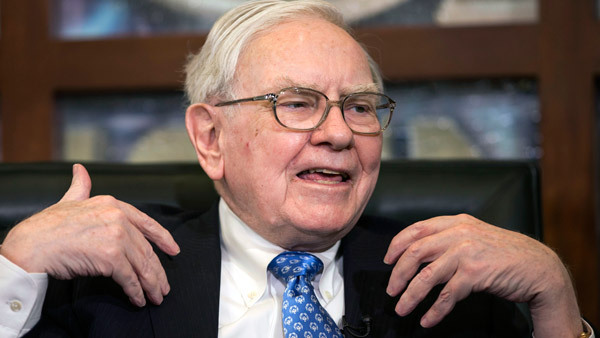 Warren Buffett warns of bad timing for Fed move because Europe needs to keep rates low. On the same day that Berkshire Hathaway announced a $32 billion deal to acquire Precision Castparts Corp., Berkshire’s largest-ever acquisition, Buffett commented on a host of issues—the economy, the stock market and Federal Reserve intentions—in a telephone interview on CNBC’s Squawk Box. Berkshire (BRK.A) announced Monday it was offering $235/share for Portland, Ore.-based aerospace and energy parts manufacturer Precision (PCC), or a 21% premium above Precision’s $193.88 closing price on Friday. Berkshire said it would also acquire the net debt of Precision, which will continue to operate under its own name, making the deal worth $32.7 billion. BRK.A closed Aug. 7 at $215,463; BRK.B closed at $143.35; as of 12:30 Eastern time on Aug. 10, BRK.A was down 0.42% to $214,550; BRK.B was down 0.61% to 142.94. In a statement, Buffett said, “I’ve admired PCC’s operation for a long time. For good reasons, it is the supplier of choice for the world’s aerospace industry, one of the largest sources of American exports.” Assuming it wins PCC shareholder approval and antitrust muster in both the U.S. and “certain foreign jurisdictions,” Berkshire expects the deal to close in Q1 of 2016. The questioning then turned to the markets. Does Buffett expect a double dip recession, especially after the current earnings season? “What’s happening with the economy is exactly what’s been happening for the past five years, moving ahead, growing at a 2%” rate,” he said. “The economy’s come back and it’s come back very well, considering the shock we had” during the financial crisis. “I don’t see it particularly accelerating or decelerating,” he concluded. As for equities, as usual Buffett took the long view as to their attractiveness. “Stocks are going to be higher, perhaps a lot higher 10 years from now or 20 years from now,” he said. “I’m not smart enough to pick times to get out and get in. If you’re in something that’s going to be a lot higher over time—if you thought your house was going to go down 5% in price you wouldn’t sell your house [now and] hope to buy it back 5% cheaper” later. – Related story: Warren Buffett’s 10 Nuggets of Wisdom: Berkshire Meeting, 2015.